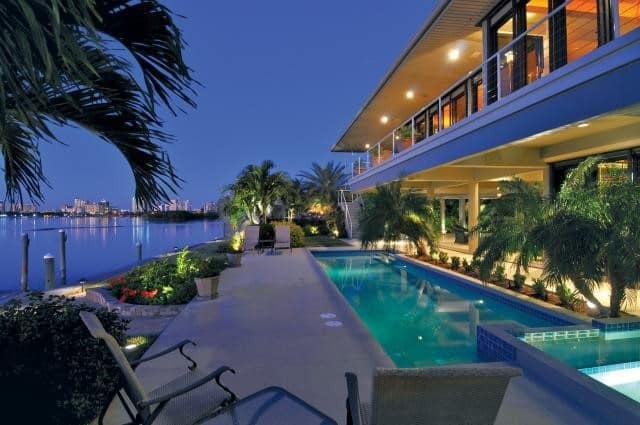 While home sales in the Sarasota, Bradenton and surrounding areas have cooled in recent months, the luxury market has remained strong. Home sales declined by 8 percent earlier this year and sales of single-family homes and condominiums failed to keep pace with the prior year.. However, in the Sarasota luxury housing market — properties priced over $1 million — single-family sales actually rose 34.6 percent compared to last year, and condominium sales saw a 20 percent increase. The bulk of new listings in the Sarasota real estate market last month were in the $300,000-$600,000 set, though luxury properties have also seen a flow of new properties. With the completion of several luxury condominium projects over the next six months as described in our previous blogs it is increasingly apparent that we will be seeing a sales and inventory growth through the end of the year. Newly built luxury properties also selling very well. Last month, eight units in the new Infinity condominium on Longboat Key closed for a combined $27.6 million. The 11-unit luxury condo is going up on the former site of the Holiday Beach Resort. a 2.5-acre tract at 4765 Gulf of Mexico Drive. Crossgate Partners LLC, a real estate investment firm in Suwanee, Georgia, is the developer. Infinity and Aria, a new 16-unit luxury project also on Longboat, were the first new condos on the barrier island since the recession. Among the newest projects, the Kolter Group plans an 18-story luxury condominium next to the Ritz-Carlton Sarasota hotel. Prices for the 86 units at The Grande will run from $2 million to more than $5 million. It is a very exciting time for Sarasota construction workers, business owners and those of us interested in the many new real estate opportunities. The firm is well positioned to assist its clients with real-estate transactions, including closings, tax-deferred exchanges, construction development and land-use matters, mortgage transactions, and serve as agent for several state and national title-insurance underwriters.